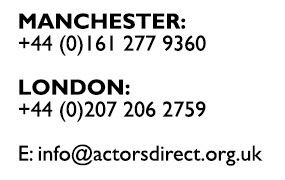 If you’d like to know more about Actors Direct or any of our represented actors please get in touch, we’d love to hear from you. We consider applications from those who have completed professional drama training or have adequate professional experience. We do not represent Walk-on Artists. 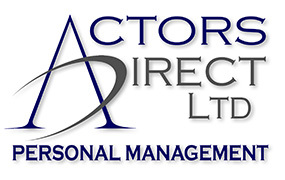 If you wish to be considered please send us your CV, headshot and a covering letter explaining why you would like to join Actors Direct, either using the address above, or by email. Should you wish us to return your CV and headshot, please include an s.a.e. and we will endeavour to do so. We also welcome invitations to see any work you are staging in the area, including final showcases from graduating students. Please contact us one month in advance and we will try our best to attend.